Welcome to this second installment of “Down Under”, where I relate my 2014 martial-arts training experience whilst I was visiting Australia’s incredible Sunshine Coast, in the state of Queensland. As I mentioned in part 1 of this 2-part series, I had been asked to go to Australia by my company and ended up staying there for 4 months. During the first 2 months of my trip, I trained with Shihan Martin Day of Combat Karate. As I mentioned in part 1, it had been an incredible experience to learn from him, but I needed to get back into my Shotokan training since I wanted to stay current with my techniques – especially since I was planning on going for my Shodan (1st Dan) grading in 2015. 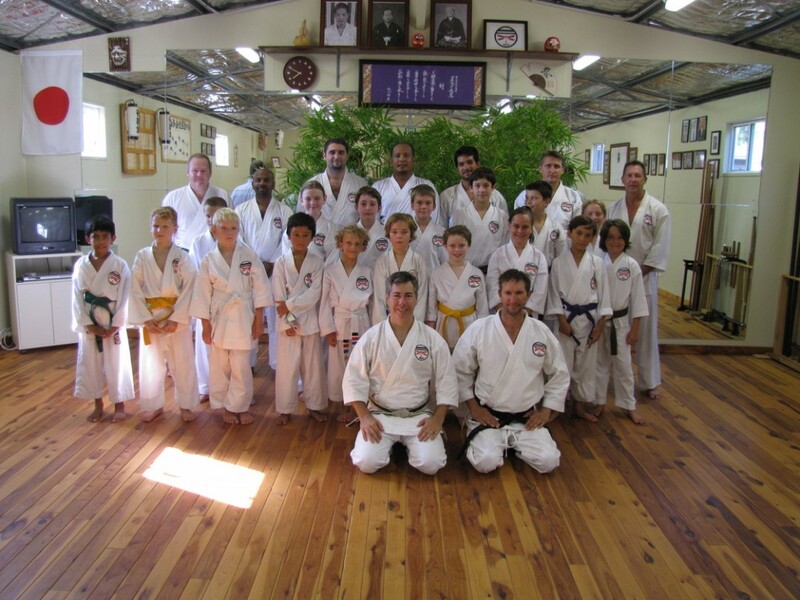 As exhilarating the experience of new and different things had been when at Combat Karate, during my first 2 months, so exhilarating also was the feeling of familiarity upon entering the Shotokan Karate-Do dojo, located in Coolum Beach – one of the most beautiful places on the Australian Sunshine Coast. The origin of the name Coolum appears to be derived from the Aboriginal word ‘gulum’ or ‘kulum’ meaning ‘blunt’ or ‘headless’. This is assumed to refer to the shape of Mount Coolum, which has no peak. 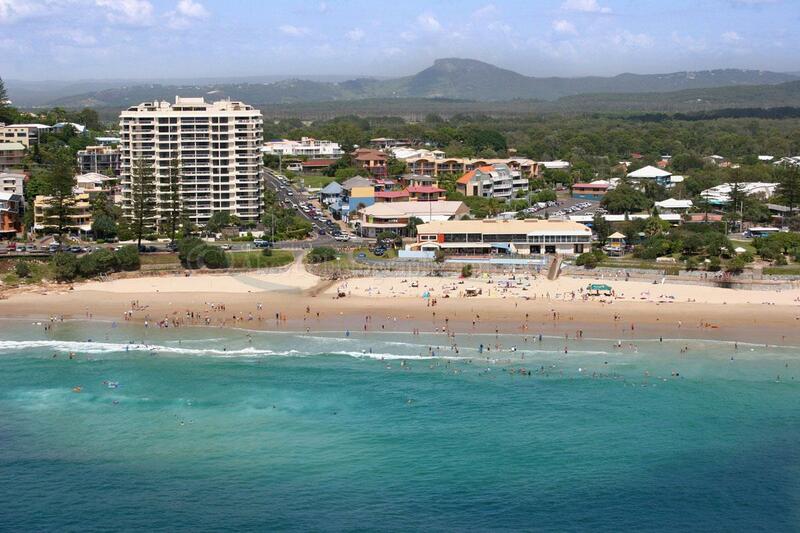 According to Aboriginal legend, Ninderry knocked off Coolum’s head and it fell into the ocean and is now Mudjimba Island. 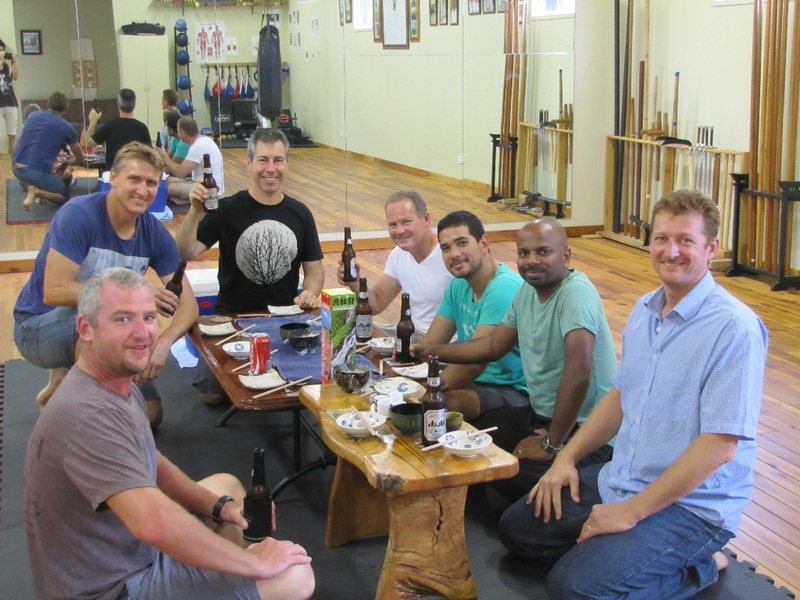 Upon entering the dojo and hearing the familiar Japanese and seeing the traditional Shotokan techniques, I couldn’t help but feel like I had come home again – doubly so, because I was away from my dojo in South Africa. By stepping into a traditional Shotokan dojo in another country made the feeling all the more intense. I immediately grew fond of this dojo, the club and their teacher, Sensei Michael Allen, who – just like Shihan Martin had – made me feel incredibly welcome and like part of the club at all times. The dojo was located on Sensei Michael’s property, next to his house and had wooden floors, a corner with various exercise equipment (such as weights and punching bags) a rack that held Bo’s or fighting staffs, a wall covered with pictures that told their own stories of Japanese instructors and a family’s time spent in Japan, and also a name-rack that was a kind of “hall-of-fame” of all the club’s students. Although much of what we practiced was familiar, there were still many new things I learnt from Sensei Michael. For example, he had spent some years (2006 to 2008) in Japan and had not only learnt many Japanese customs, and formed strong bonds of friendship in Japan, but had also learnt to speak Japanese. This meant that I had to learn the Dojo Kun in Japanese and had a turn at closing off the class one evening by having to recite the Dojo Kun … in Japanese! 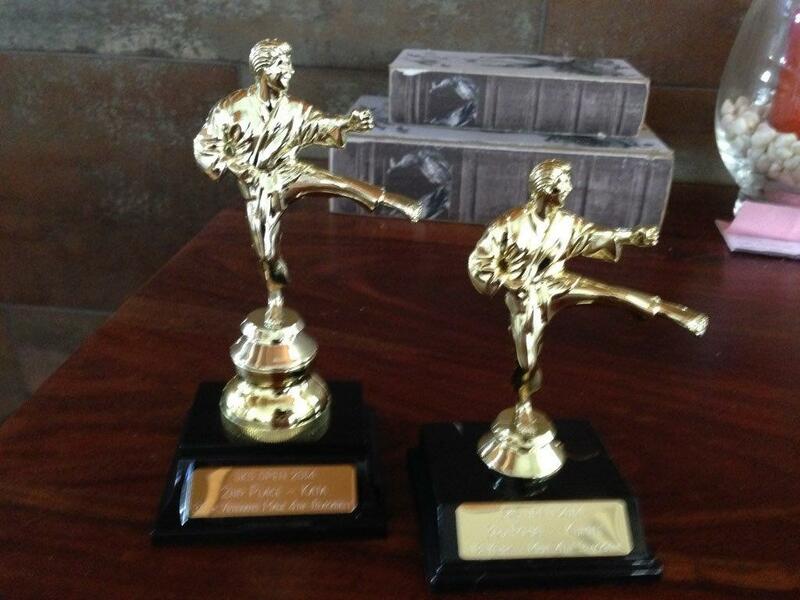 Another challenge that I faced was that I was asked to take part in a Karate competition. Although this was just a friendly tournament between three clubs in the area, I was nonetheless very nervous, since this was to be my very first Karate competition. Being 41, I never considered participating in a competition and thought that it was the realm of youngsters and champions. Sensei Michael gently insisted that I take part in the competition and showed me a couple of things to help me survive. My only thought was that I would not embarrass myself, Solis Ortus or SKS. I fervently hoped that I would at the least be a worthy opponent. It was a long, nervous day for me and I took part in both kata and kumite in 2 different divisions. In the division, age 35 and up, I did well enough in the kata to earn a second place. In the younger division of 18 to 35, I did good enough in the kumite to earn a 3rd place. I was pleasantly surprised: not too shabby for a first time! Once again, I was amazed by the friendships that formed whilst there. I am not ignorant of the fact that everywhere in the world there are nice people and there are not-so-nice people – but I can truly say that with my trip to Australia, I met some of the nicest people I have ever known – at both clubs (Combat Karate and SKS). Sensei Michael himself, was always patient with me and allowed me some variation in the techniques, which stemmed from differences between JKA and JKS. These differences were not that big, however, I found the syllabus for their Shodan grading a bit different. They had some basic combinations which we did not have in JKA, which were tricky to learn at first, and also additional katas – such as the Junro-series of kata. 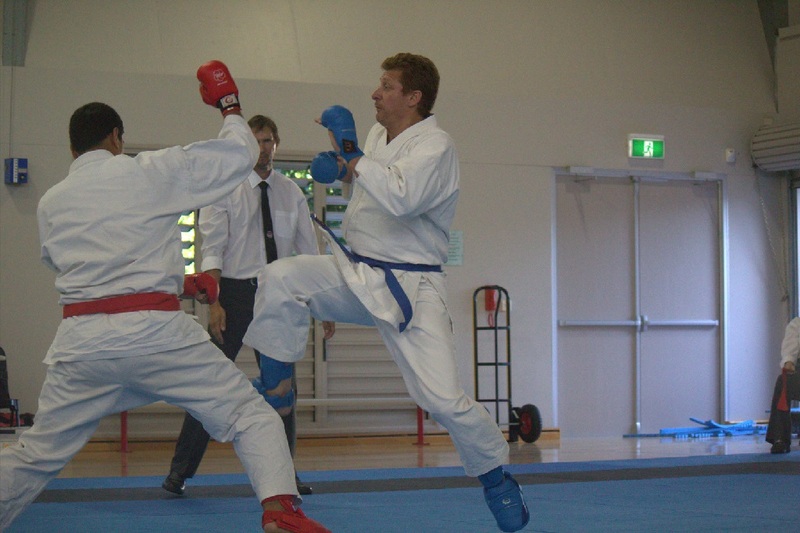 But, in general I was able to keep up, especially with the kumite – which was great fun! I managed to learn Junro-Shodan and Junro-Nidan whilst there as well as a little bit of kata involving the use of the Bo or staff. The following YouTube video demonstrates Junro Shodan. SKS also held a grading event whilst I was there, which I was invited to attend and asked to help out with – specifically with the kumite portion of the grading. All the students did really well and it was a privilege to be a part of the day’s events. 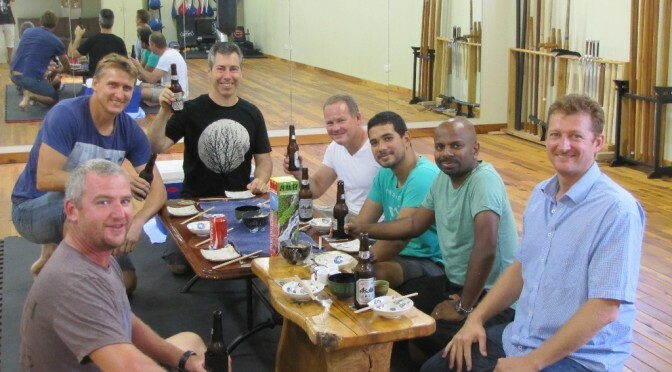 Finally, I was invited by Sensei Michael to a farewell dinner that included him and some of the senior students. It was sushi, sake and beer! The sushi was simply delicious and the company was excellent. I am honored, to also count Sensei Michael as one of my friends and teachers that have shaped my life in ways that one cannot imagine. The time I spent at SKS under Sensei Michael’s watchful eye was one of the most memorable periods in my life. Sensei Michael Allen has trained in the art of Karate- Do for over 24 years and has trained with various great instructors over that time. 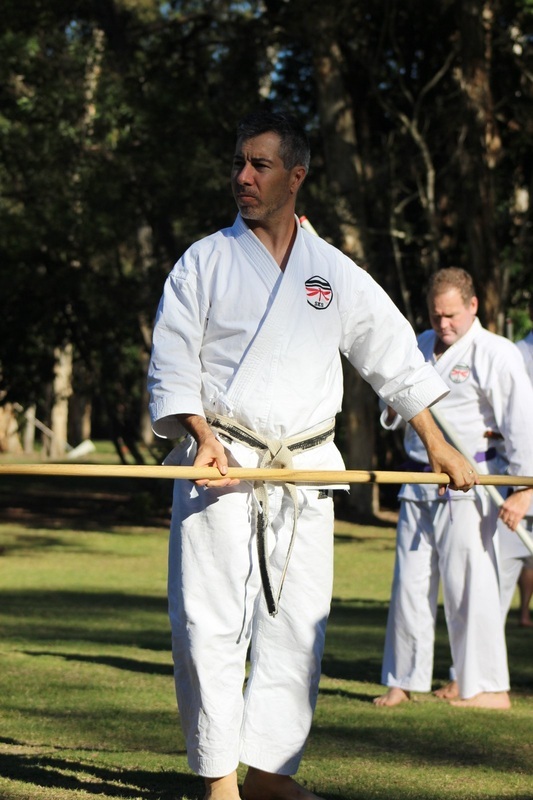 He has an accomplished career in competition for both Kata and Kumite, and has competed in Japan on many occasions. He has qualifications in refereeing, teaching and judging karate in Japan as well as Australia. Sensei Michael studied with other Karate styles and various teachers, both Japanese and Western, but reveals that it was not until he trained with the JKS (Japan Karate Shotokai) for over 8 years that he found his possible full potential. Sensei Allen lived and trained in the Shizuoka prefecture in a town called Yaizu from 2006 to 2008. The Dojo where he taught and trained was named Shouyoukan. The name relates to the founder of this Dojo (Kancho) Masamoto Kikuchi . His son is the director (Shibucho), Nobuyuki Kikuchi. 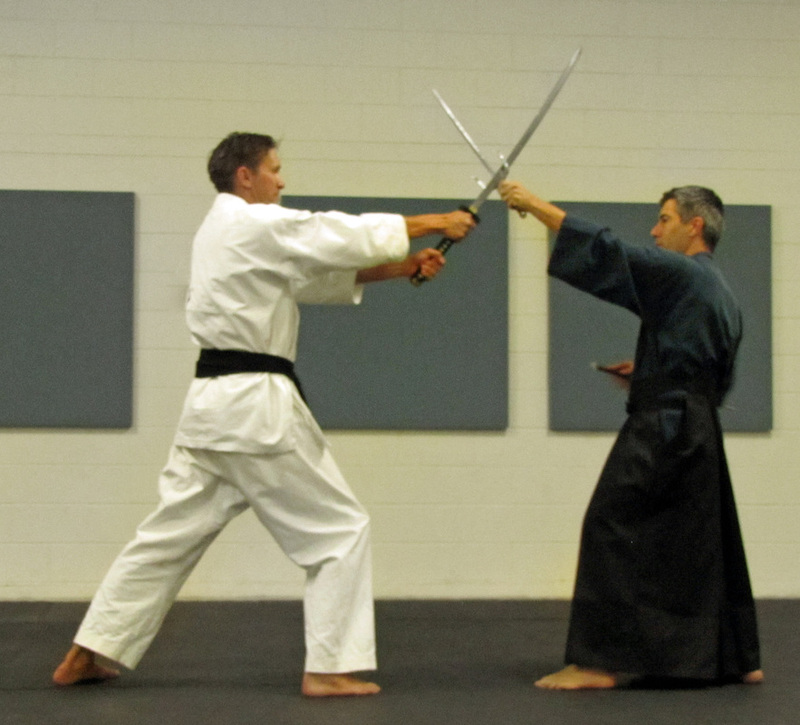 Both instructors are highly aclaimed and well respected within Japan. The Yaizu Shouyoukan Honbu is known as the sister Dojo to the SKS in Australia and a strong bond exists between its members. In August 2011 Kancho gave the name “Shouyoukan” to Sensei Michael Allen to use for the Hombu. Now the two clubs are even closer. Sensei Michael Allen believes that the future of traditional Karate lies within the strength of its foundations. This is achieved through the SKS-Its Dojos, experienced instructors and the students that are drawn to the philosophies of the SKS. He intends to futher strengthen and maintain the karate bonds and friendships that have already been created between the SKS and its friends both here and in Japan.